A local woman has returned from the World Transplant Games with two Bronze medals. Lisa Muscutt, from Stoneleigh, competed as part of the Great Britain and Northern Ireland team in the ten-pin bowling and badminton. The Games, held in Durban, South Africa from 28th July until 4th August attracted more than 1,000 transplant athletes from 55 different countries competing in 13 different sporting events. 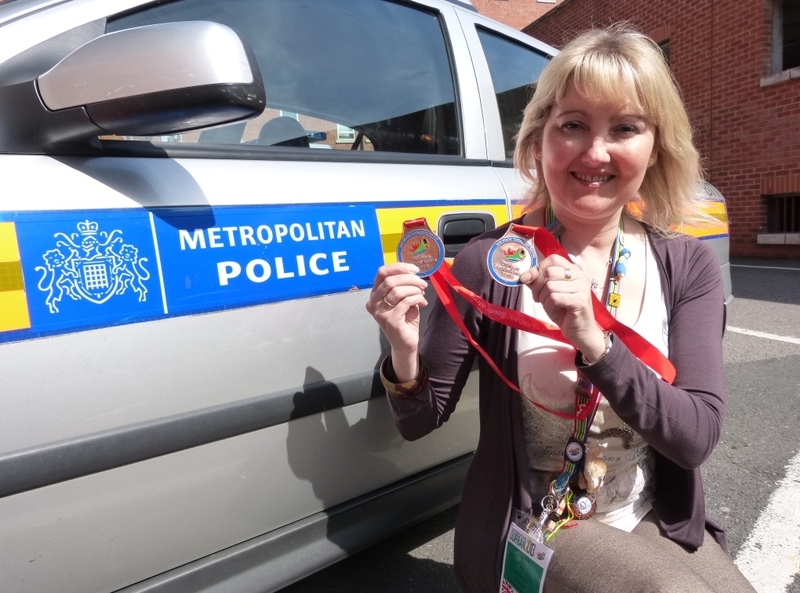 Lisa, age 40 and has worked part time as a witness care officer at Sutton Police Station since 1992, was born with cystic fibrosis and struggled with ill health until she had a double lung transplant at Harefield Hospital, Middlesex, six years ago. Since then she has been on a road to steady recovery, putting behind her the years of struggling for breath, having to use a wheelchair and spending time bedridden. Her weight was just five stone and her lung capacity had dropped to 15%, leading doctors to predict that she may not recover. However Lisa now weighs more than eight stone, plays sports, enjoys nights out with friends and raises money for Harefield Hospital. Her success at the World Transplant Games followed her medal winning achievements at the British Transplant Games in Medway, Kent, in 2012 and Belfast in 2011. At these Games, which are open to anyone in the UK who has had any kind of transplant operation, Lisa has won a total of seven medals for ten-pin bowling, badminton, ball throw, soft ball and volleyball. Three of the 10,000 people in the UK waiting for a transplant die each day. Only 31% of the UK population are registered as organ donors. To register on the NHS Organ Donor register, telephone 0300 123 23 23, text SAVE to 84118 or go to www.organdonation.nhs.uk to register online. Those registering are encouraged to discuss their wishes with their family and friends.